CONCEPTUAL PHYSICS | Hey Mr. Wilson! 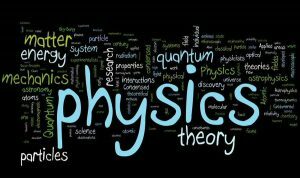 Course Description: Conceptual Physics is an introductory course for the college-bound student who wishes to undertake a challenging science course. Conceptual physics focuses more on the ideas and concepts of physics rather than the complex math that helps to explain the concepts. Demonstrations, computer simulations, and laboratory work will combine to help develop the student’s understanding of physics and its role in the Universe. Quizzes & Tests: These will be given in the middle and at the end of each unit covered. We may move through some chapters in a few days and others in a few weeks. YOU ARE EXPECTED TO BE READY TO TAKE THE TEST THE NEXT DAY YOU RETURN FROM AN ABSENCE. It is your responsibility to schedule and take your make-ups. Failure to make up a quiz after a week will result in a zero for that assignment. Labs: Some will be worth more than others. All are important to your understanding of physics. Some labs will have a pre-lab and/or a post-lab quiz. These points will be a part of the overall lab grade. We will do a number of labs in this course. Some labs write ups are more complicated and time consuming than others. These write-ups will be done by you individually – even though you will probably work together in a lab group on collecting the data. For labs which do not require a formal lab write-up, you may simply receive points based on participation or you may be permitted to turn in a group lab. You may or may not have to actually turn in something for grading for these non-formal write-up labs. Homework: Homework will be assigned regularly. Points are received upon completion of homework on time. Students are responsible for completing and correcting all work as assigned. Homework to be turned in must be more that 75% complete to receive a stamp. Most homework assignments are worth 10 points. Failure to turn in homework will receive a zero. It is your responsibility to make up any homework during an absence from class. MOVIES: Throughout the course of the year, one of more of the following movies may be shown to the class. All are rated PG-13: “Avatar”, “The Day After Tomorrow”, “Gravity”. Participation: Every grading period you will be receiving participation grade. If you come to class on time and work productively in class you will receive 50 points. Every class tardy you will loose 3 points from this grade. If you are seen improperly working in class such as: sending or receiving cell phone calls or text messages, playing calculator games, searching the Internet for things unrelated to physics, you will loose points. Extra Credit: There are no extra credit assignments in this class. This is a college prep class that expects you to achieve and perform at a high level. Take all assignments seriously. Extra credit can be earned at various times throughout the year by participating in periodic extracurricular projects and activities. These include, but are not limited to, the following activities: Pumpkin drop and Float a Boat. General Rules: Treat the classroom, your fellow students and the teacher with respect. Come to class on time and prepared to learn. Observe all school rules listed in your school handbook. The tardy policy stated in the school wide discipline plan will be enforced. * Pen/pencil: Either or both is fine. * Ruler, paper, graph paper: Keep these in your notebook. Be prepared for class – paper, pens, notebook, and homework completed. Do not leave your seat without permission. Follow safety procedures at all times. No screwing around! * Please note that the Constitution of the State of California requires that we provide a public education to you free of charge. Your right to a free education is for all school/educational activities, whether curricular or extracurricular, and whether you get a grade for the activity or class. Subject to certain exceptions, your right to a free public education means that we cannot require you or your family to purchase materials, supplies, equipment or uniforms for any school activity, nor can we require you or your family to pay security deposits for access, participation, materials, or equipment.